The Inspector General of Police, Idris Kpotun Ibrahim, has ordered the immediate re-organization of special anti-robbery squad (SARS) across the country this was as a result of the #EndSARS campaign launched on Twitter by some Nigerians. 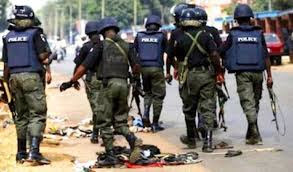 said “the Nigeria Police Force has observed the recent trends of event in the Social Media on the #ENDSARSNOW and the controversy being generated by the innuendos from the allegations and other misconceptions as it concerns the Operational roles and activities of the Special Anti-Robbery Squad (SARS), a detachment of the Nigeria Police Force. ‘Federal Anti-Robbery Squad (FSARS) will now exist and operate in the State and Zonal Commands under the Commissioner of Police (F-SARS) at the Force Headquarters. A Federal SARS Commander of a Rank of Chief Superintendent of Police (CSP) and not below Superintendent of Police (SP) will be in charge of FSARS in State and Zonal Commands across the Country. All Commissioners of Police have been directed by the Inspector General of Police to comply with this directive with immediate effect and warn their personnel not to pose as SARS operatives. The IGP X-Squad has been mandated to go round the Commands and Police Formations nationwide to ensure strict compliance and apprehend any erring police officer.